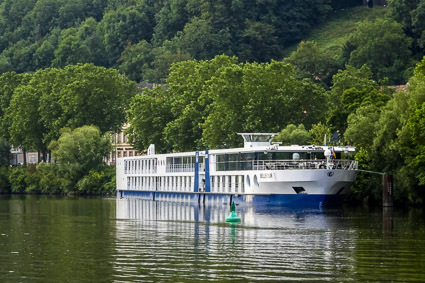 MS Bellejour, the German ship that had been shadowing us since Nuremberg, was moored on the river's opposite bank. 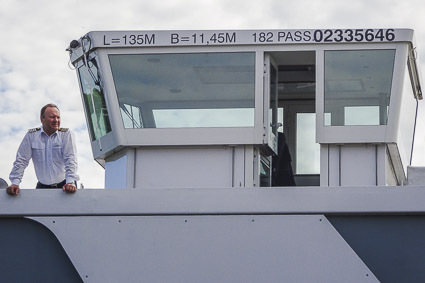 A barge cruised past as our captain piloted Emerald Star into its berth. 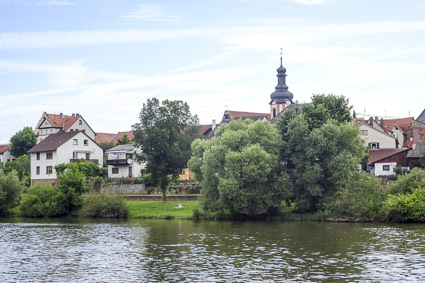 Wertheim was a pretty little town with a population of about 22,000. 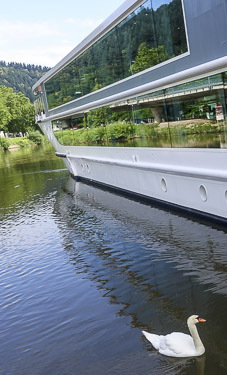 For us, it was mainly a jumping-off point for an excursion to Miltenberg, a few kilometers down the river, where we'd meet Emerald Star in early afternoon. 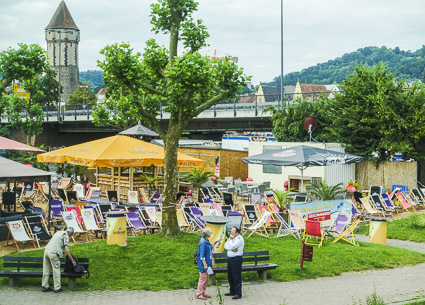 Wertheim's waterfront park had been turned into a summer "Beach Club" with refreshment stands and beach chairs for sunbathing. 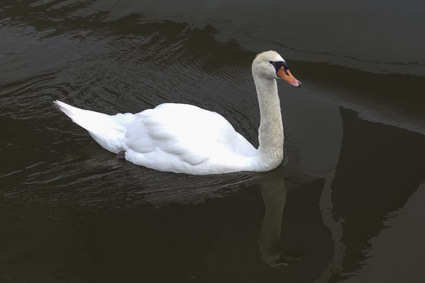 The riverfront setting was bucolic, with swans gliding across the smooth water of the River Main. 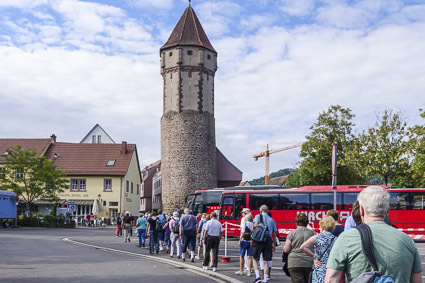 Around 9 a.m., we headed for the buses that would take us to Miltenberg, which was a 20- to 30-minute drive from Wertheim. Captain Mariceanu watched the crew unlash Emerald Star from its moorings. 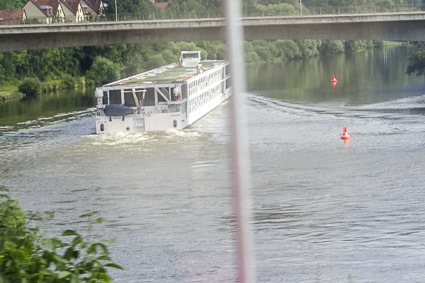 A few minutes later, we grabbed this photo from our bus as Emerald Star cruised toward Miltenberg.